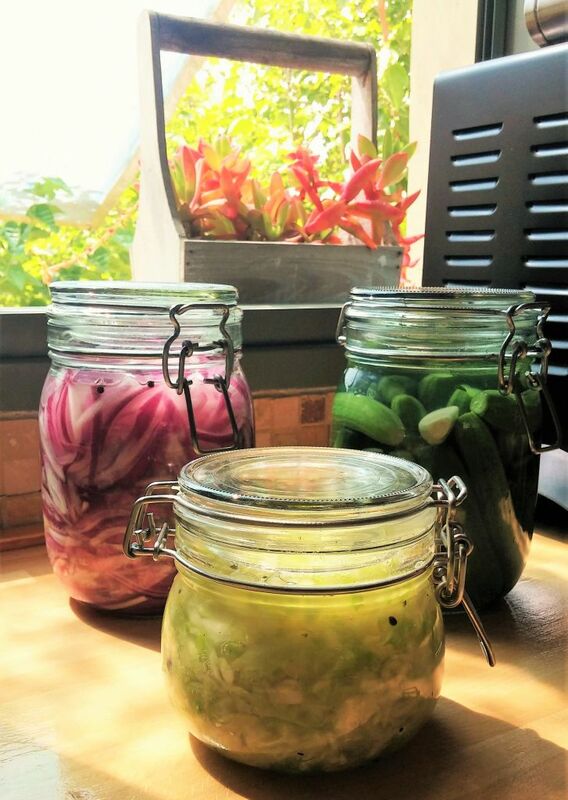 Fermented vegetables are one of my favorite foods and very therapeutic to make. Once you start experimenting with them you won’t want to stop. It’s super healthy due to its probiotics and easy to make at home in no time at all. Fermented foods have been around long before we were born. Before the refrigerator was invented people used this method of fermentation to preserve their vegetables, fruit, meat and dairy. You don’t need a starter culture kit to begin with, all you need are your hands. Lacto-fermentation is when the natural sugars in the vegetable are converted into lactic acid. Lacto comes from the word Lactobacillus, which is the friendly bacteria that is in charge of the process. The anaerobic – living without air – bacteria lead the fermentation, where they begin to produce an acidic environment which not all the bacteria can survive in. The acid levels become too high for most of the bacteria and they die. Basically when fermenting vegetables, you want to understand the musts of the recipe. After that have fun and go wild. Filtered water- If your tap water is tasty then go ahead and use it. From here on, you can add garlic, jalapenos, dill, mustard seeds, black peppers, go wild with your imagination. Start incorporating fermented veggies into your meals and see how you feel. Below I’ve attached a few simple recipes to try out that will brighten up your confidence and gut.